As you all know I LOVE my L'Oreal! So here is one of my recent purchases that I included in one of my posts to show you what I'd been spending on lately. Now as you can see in the picture above it's a pretty pearlescent colour, which is kind of like a liquid but a little thicker. Now when I mentioned this product previously I didn't really rate it at all, in fact I thought it was a waste! Well... when I had tried it before I was using it as a primer/base to my foundation. Although I found that it left my skin feeling silky soft and made my foundation a lot more blend able, making it easier for me to apply my make up. I found that the longevity of the product didn't seem any different to usual and I found that you lost the luminous effect so it kind of defeated it's own purpose in my eyes. Now my opinion has totally changed towards the product and I really like it. 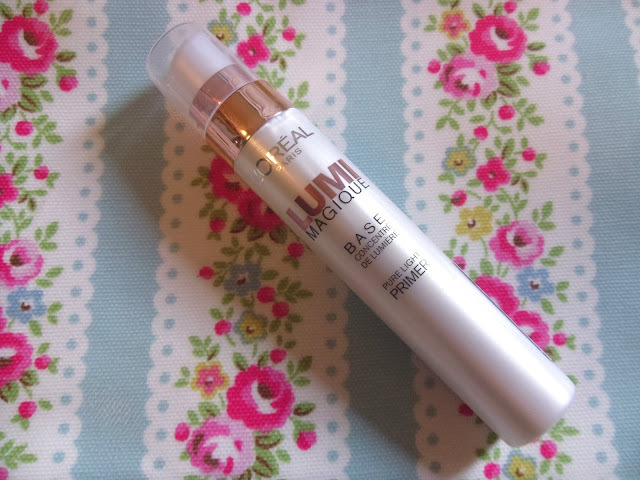 When using a few drops of the Lumi Magique mixed with foundation it has a total different effect. It makes the skin have the prettiest sheen/glow to it. If you're like me and you love your glowy products, give it a go! Honestly you won't regret it. (Nobody will think that your glow came from a bottle). 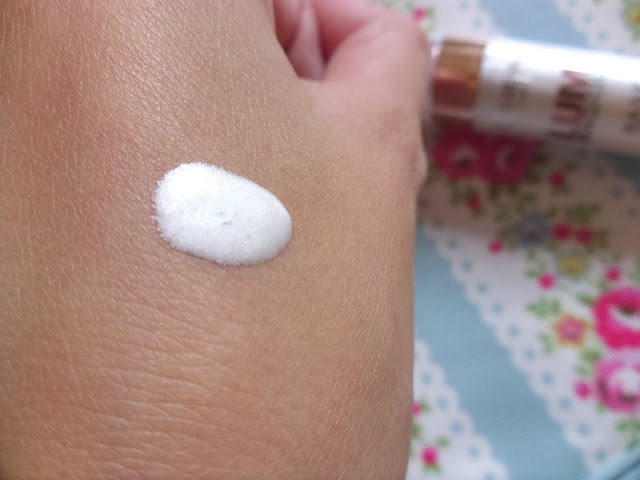 I've also heard that it's really good to use as a highlighter, now I don't know about that just yet as I haven't tried it, but I'll have to give it a whirl this week. I hope it's just as good for that too as I've read quite a lot of reviews from people that have just bought the product for that particular reason. You can purchase this from your local Superdrug or Boots drugstore and if you don't have one then check out their websites online. HAVE YOU ENTERED MY SOAP & GLORY GIVEAWAY YET? Just found your blog - It's lovely! Wow:-), it looks like excellently:))! 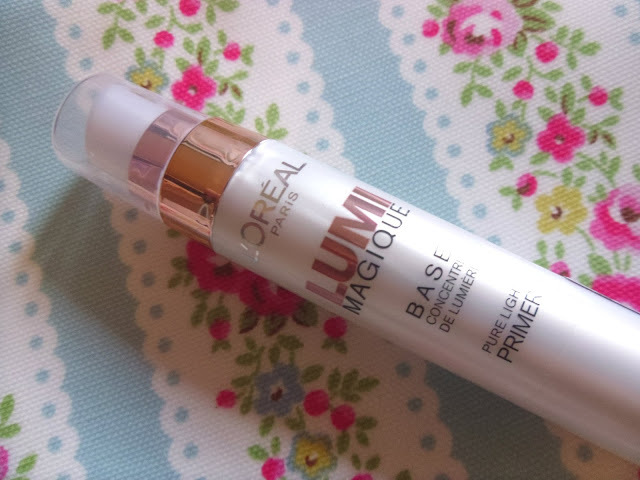 I wouldn't recommend this as a primer, but definitely as a illuminator! Hey there, loved your blog, just followed you on GFC, (129) would you mind to follow back? I could really do with some help in the 'glowing' department, it sounds fab for that. Shame it doesn't work as an actual primer though. your skin/make-up always looks amazing megan! I wish mine would look the same :) I love anything that gives me a healthy glow, as my skin is quite dry in places. Nice post :) it's good you're so honest! I never heard about this product but it seems so helpful great review hun! What a fab idea! I think I need to mix my foundation with something like this, I love full coverage but it can sometimes end up looking dull and flat once set with powder blah blah so this sounds like the perfect solution! thank you for the comments on my blog also sweet! I hope the competition is going well and you are in undated with entries!